The First Four doesn't feel like part of the NCAA Tournament at all, yet at-large teams have been successful. 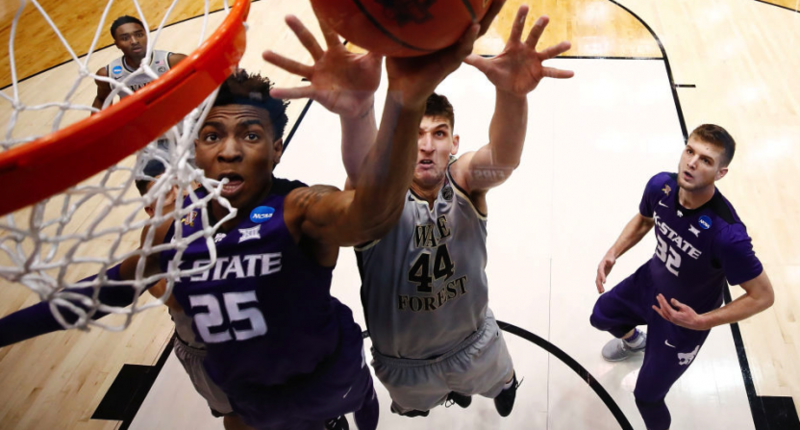 The 64 vs. 65 play-in game was just a way to expand the NCAA Tournament field by one to accommodate the Mountain West Conference’s arrival in 1999. Adding one more contest was clean, but not without controversy. From 2001 to 2010, the game nearly always featured historically black colleges from the SWAC and MEAC, eliminating one by default before the “real” tournament began. Since then, the First Four has looked much different. 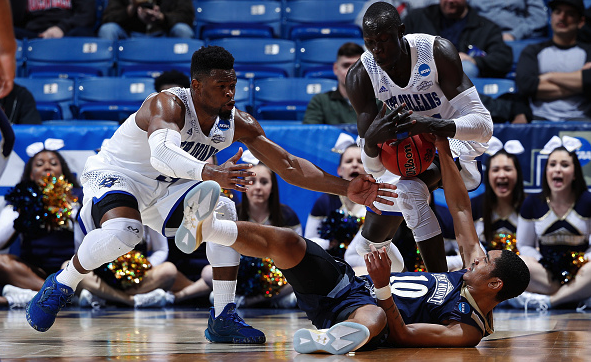 This is year seven of the 68-team format, featuring two play-in games of 16-seeds and two more between the final four at-large teams picked for the field. The 16-seeds have still found themselves shut out vs. 1-seeds (zero wins all-time). But the at-large teams have been much more of a mixed bag. In 2011, Clemson beat UAB, but then lost to 5-seed West Virginia. VCU, on the other hand, defeated USC, and then went on to the Final Four. Since the First Four games began, the at-large teams are 11-12 in the round of 64 and beyond, with one of them winning (at least) once each season. That number’s buoyed a bit by the success of VCU in year one (4-1). However, the head start on tournament play seems to have helped more than it’s harmed the best-prepared teams. But what has a First Four at-large team looked like over the years? And how do this year’s First Four squads compare? While not always the case, the 11-line has typically been the cutoff for the final at-large berths in the NCAA Tournament – at least lately. Since 2015, all 12 have been 11-seeds, and of the 28 teams chosen for First Four at-large games, 18 have been a No. 11. Every season but 2012 featured two, and that season was the only time 14-seeds (BYU and Iona) were included. Mid-major bubble teams have become a thing of the past, and that gets more apparent each year of the First Four era. This year’s group – Providence, USC, Wake Forest and Kansas State – are all major conference teams. In 2016, it was three out of four, though Wichita State is hardly a Cinderella. Since 2011, 20 out of 28 fit the major conference bill, and 25 out of 28 were either in a major conference or would be considered a mid-major brand (St. Mary’s, BYU, CAA-era VCU). If you remove BYU from the true mid-major conversation, no team outside of the top eight conferences has been selected as an at-large First Four team since 2013 (Middle Tennessee). UAB (2011), Iona (2012) and MTSU (2013) are the only real mid-majors to make the First Four. That could mean by brand or market. The original First Four featured USC, while both Cal and BYU played in separate games in 2012. NC State, Tennessee, BYU (again), Ole Miss, Michigan and Vanderbilt have all been invited the First Four as well. 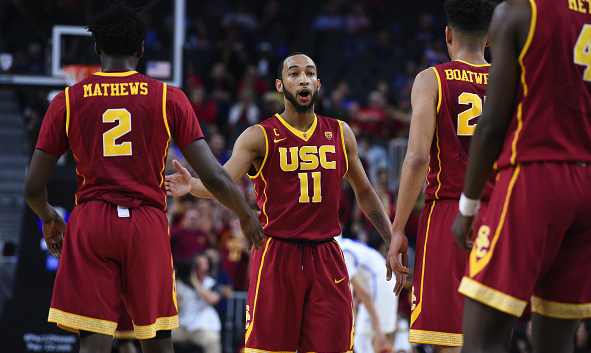 This year’s inclusion of USC is likely no coincidence – even if you could certainly make the case that (first team out) Syracuse is the larger draw from a basketball perspective. Of the 24 First Four games (including the 16-seeds) that have been held so far, 13 have had a margin of 10 or fewer points. In 2015, all four came down to that slim margin, including a one-point win for Dayton over Boise State. Two of the games have gone to overtime, and three contests have been decided by a single point. By all accounts, it’s fairly compelling basketball, with real stakes. As one can imagine, despite the results and the team’s success (especially VCU’s) thereafter, the game is still considered an insult to some participants – especially when it comes to the 16-seeds. The rigors of First Four travel are also far from preferential toward the student-athletes, whom the NCAA claims to serve. For the leagues that play their respective conference championships on Sunday, they’re flown to Dayton, Ohio as soon as Monday, and their season may end by Tuesday night. If they happen to win, they’re off to another far-off location for the first round game, which could potentially be held anywhere from Seattle to Miami just two days later. The arena in Dayton is not filled with the school’s fans, unless you’re the hometown Flyers (who participated in 2015). The NCAA Tournament hoopla is really in branding only. Nearly every bracket challenge you’ll find in offices across the country ignores the games altogether. The First Four is hardly the NCAA Tournament at all. But it will continue to be held nonetheless, as the fight to keep this wacky tournament competitive, while still crowning a legitimate champion, wages on. In year one of the 64-team field, an 8-seed (Villanova) shocked the world by beating favored Georgetown. A team seeded fifth or higher has made it to four straight Final Fours. Double-digit seeds have made it three times in the last 11 years. Back in 2010, the NCAA announced plans to expand to 96, only to scale it back following outrage from media partners and fans. Some coaches have previously called for as many as 128 teams in the field. The likelihood of one of the sport’s best winning it all drops with each addition to the field. If faced with those outcomes, the First Four may not seem so bad anymore, lest the Tournament devolve into a complete and utter crapshoot.